~ A hand up not a hand out. What is your name? My name is Srey Ti*. How old are you? I am 19 years old. Tell us about your family. I have 5 brothers and 2 sisters. At my house we have 5 dogs, 2 cows, 1 cat, 2 ducks and many chickens. 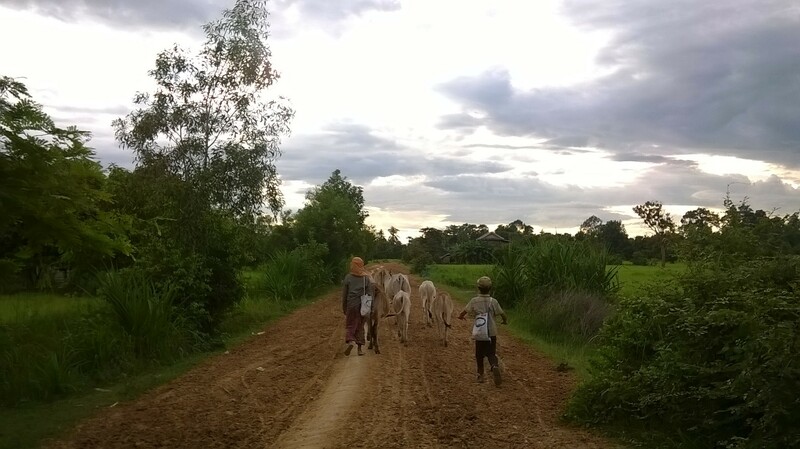 A farming family like Srey Ti’s brings their cows home at sunset in the village. What do you like to study? I like to study Khmer and English language. I also like to study Geography. What will you do after class today? Today I will go home and cook rice for dinner for my family. 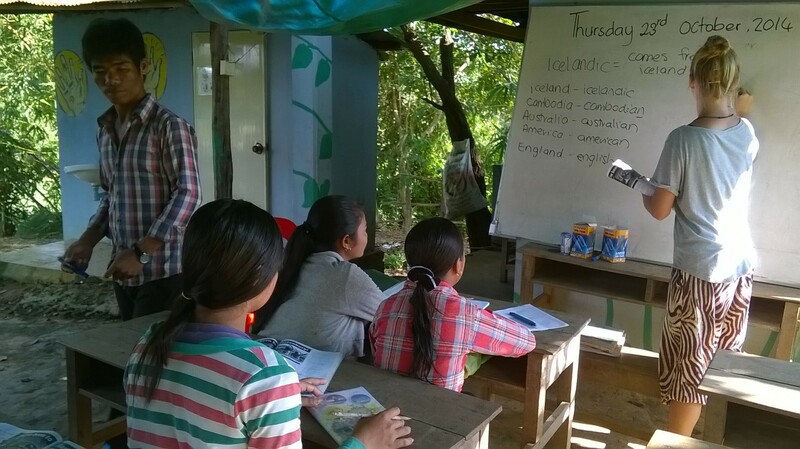 Srey Ti often arrives early to complete her Khmer or English homework like these students do. What do you want to study when you finish High School? I want to study English Language at University in Siem Reap. What do you want to be when you finish your studies? I want to be an English Teacher. 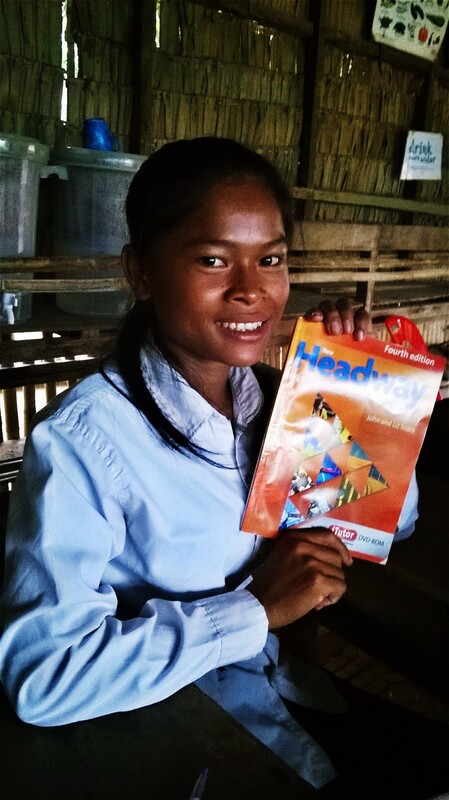 The village where Helping Hands is based, where Srey Ti lives with her family. Two of our current university scholars with their sponsors. *Some names have been changed for child protection purposes. Tahli and Globalteer tuk-tuk driver Kanal enjoy the scenery on the way to Helping Hands. 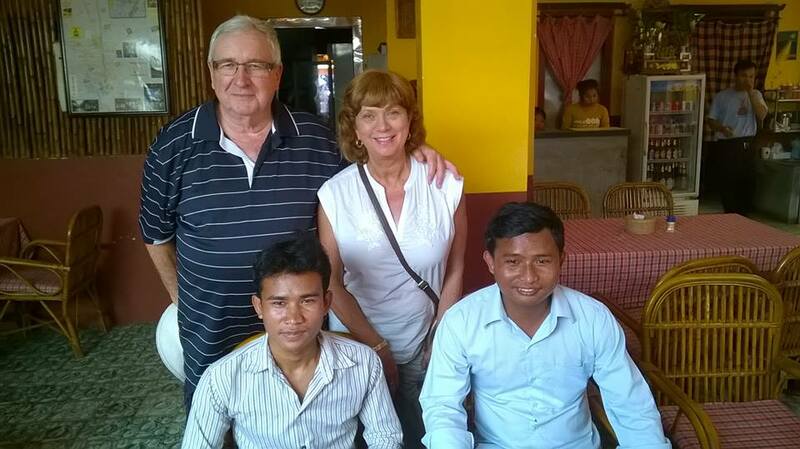 I first found Helping Hands Cambodia through Globalteer after searching the internet for an honest, quality NGO that I felt I could help contribute to for a few short weeks whilst in Cambodia. I am glad to say that I couldn’t have chosen a better place to spend my time than at Helping Hands. Placed in a rural village an hour ride by tuk tuk from Siem Reap this place is like nothing I’ve ever experienced. I’ve done a lot of work with children in Australia but nothing could have prepared me for the experience I had. The smiling faces who were so happy to greet me made me appreciate every minute I spent here and made it all the more difficult to leave. 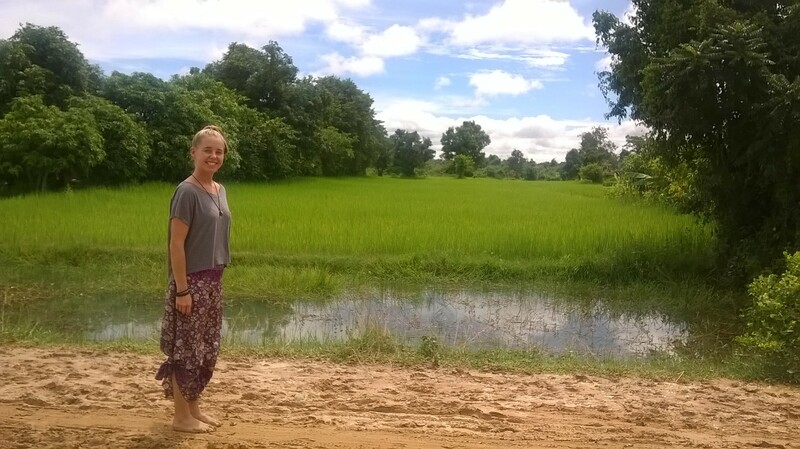 Volunteer Tahli in Prasat Chas village. After two weeks helping the teachers with English classes, cleaning the site, taking BMI’s (body mass index), assisting with first aid and even a few trips to the hospital I felt like I had a new family. Probably why I cried on my last day! I have never met people so appreciative, positive and enlightening in my life and this is even more mind blowing when you see that they literally have nothing, living almost entirely off their land and it’s produce. Our volunteer shows the students how to stand straight for their BMI measurements. After a few days I visited the village to see my students “houses” and was shocked by what I saw. Living in a square hut no bigger than my lounge room with the furniture consisting of only mats to sleep on and a mosquito net (some don’t even have one) I was trying to picturing my students doing their homework before the sun went down (given there is no power). These children are not forced by authorities to come to Helping Hands like we are in Australia; they do it because they love learning. This makes it all the more special. 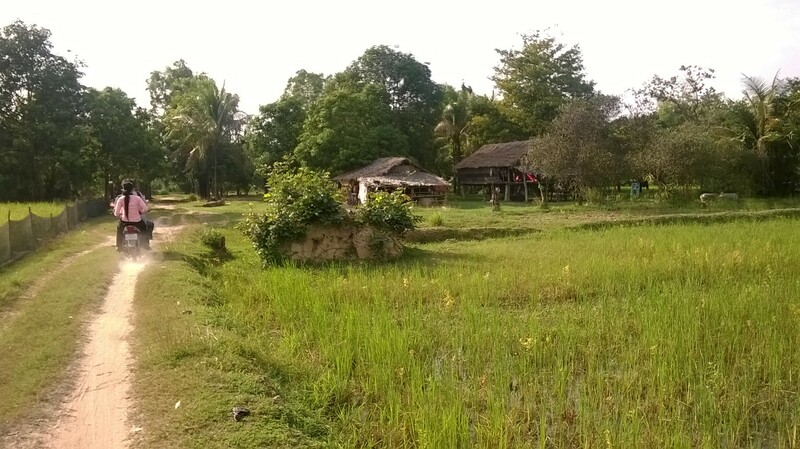 It was emotionally life changing to see how people live in these rural parts of Cambodia. Coming from a background in the health profession and seeing so much disease and disability was confronting. There is no good health care system or health and hygiene knowledge. I was lucky enough to help take a few families to the Angkor Children Hospital where they provide free care and medication. Volunteer Tahli gives a presentation to a captive audience. Medically speaking, spreading awareness is the only way to prevent cases from getting so severe. This is one of the steps Helping Hands is taking with their breakfast program as an alarming amount of problems are from malnutrition. Helping Hands has to be commended for providing transport, food and support to families in the village with their health care. An example of going above and beyond is sending tuk tuk drivers at 5am to pick up families from the village and bring them into town for check ups and operations. Lisa (Helping Hands manager) even spent her Saturday at the hospital to make sure one of the students was okay. 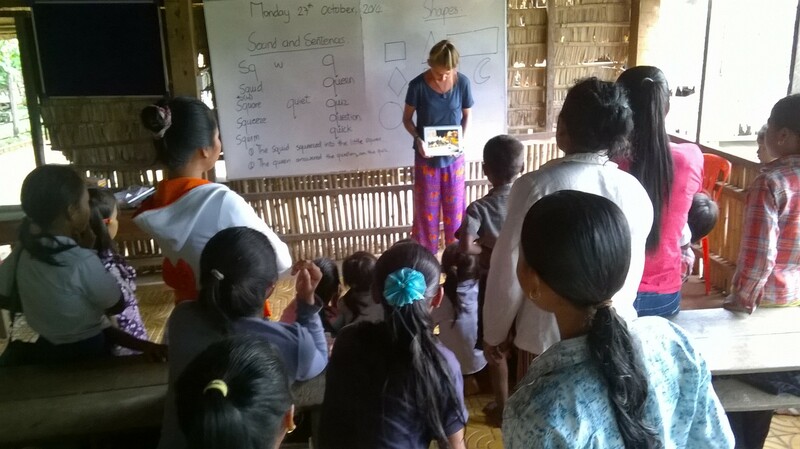 Tahli helps the teacher out with pronunciation and spelling with one of the older classes. The compassion I witnessed was infectious and I am so glad I chose to donate to the organisation as a volunteer. If you are thinking of doing something to help I could not recommend Helping Hands enough. It is a once in a lifetime experience. If you would like to volunteer please visit Helping Hand website. To keep supporting the work they do in this village you can donate via Paypal here. 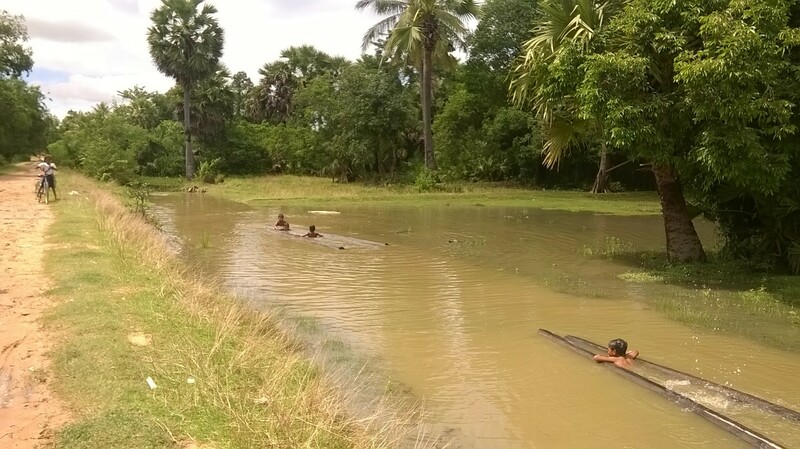 A typical village scene with students playing in the flood water. Water in the village where Helping Hands Cambodia works is sourced for the majority of families from a well or water pump. Whilst this can supply a good amount year-round, there is nothing done to filter out harmful bacteria and parasites. 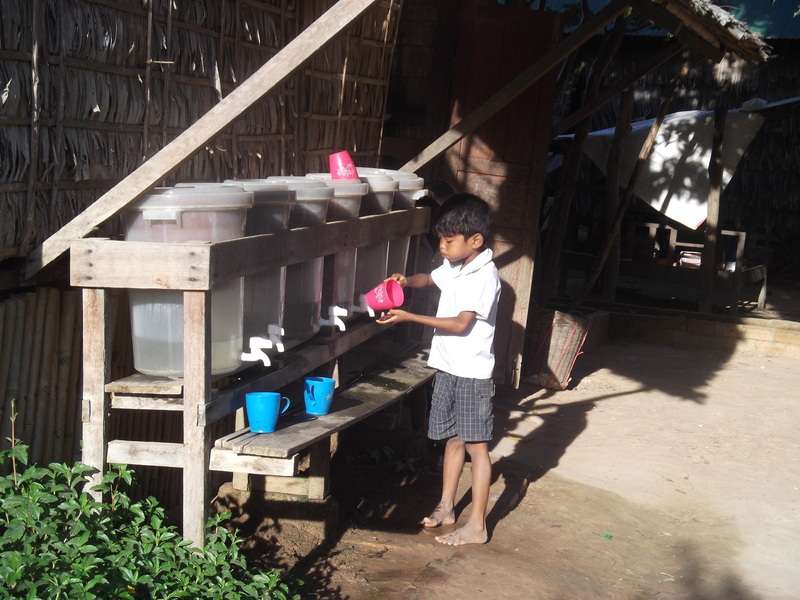 People in the village are faced with a difficult choice – to drink the local water and risk falling sick (Cambodia has an estimated 9 million diarrhea cases per year for its 14 million residents) or drink as little as possible, staying dehydrated. Many chose the later. The results of daily, long-term dehydration are multiple. Mothers struggle to breastfeed, our kindergarten kids get poor digestion and painful tummies because they’re not drinking enough. Elders in the village frequently complain of headaches and tiredness, two classic signs of long-term dehydration. In all of Cambodia there’s still an estimated 66% of people without access to clean drinking water – this is not unique to Prasat Chas, the village where Helping Hands works, but in this village, through the school we run, we can make a positive difference. This is the type of bio-sand filter that Helping Hands is aiming for. One costs $80, to service our school site we’ll need 2. On site we have been using a traditional method of water purification. Water from our well is poured by students every morning into one of 12 clay pots that are sited around the school. These pots slowly filter the dirty water with the clay absorbing any negative elements, leaving the students with clean drinking water in the plastic bucket below. A student on site drinks water from our ceramic filters. These filters are in need of an upgrade. These clay pots have worked hard for our site for several years now and unfortunately they no longer perform at their best. Despite cleaning them frequently we’ve found that their filtration speed is slowing down and the lever of purity is dropping as the clay has aged. It’s time to upgrade! We need a new water system. 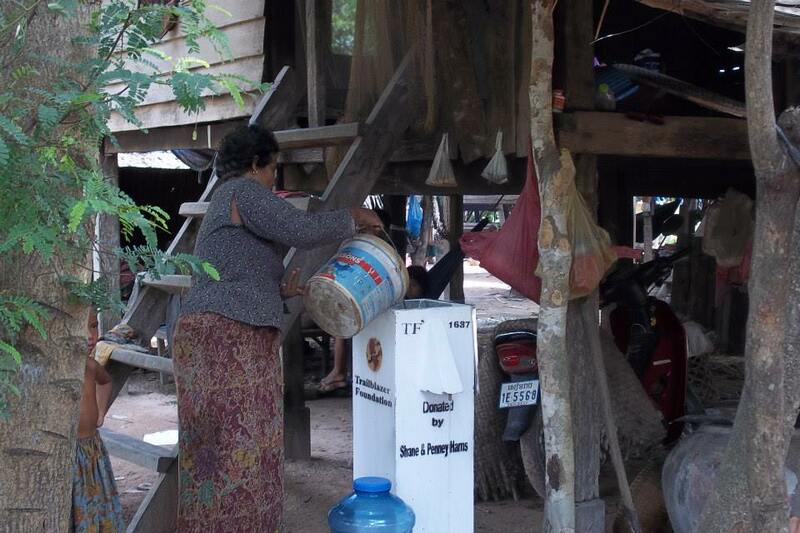 A partner project in Siem Reap, Trailblazer, has had huge success making sustainable bio-sand water filters in Cambodia for 10 years now. Their simple sand and gravel system effectively filters out 99% of bacteria and pathogens. It filters water very quickly, meaning that we’ll have a better supply for all our students on site as currently we run out of clean, filtered water during peak times. We want to guarantee our students a ready supply of clean, safe drinking water all day long, ensuring that they stay healthy and hydrated, strengthened to reach their potential with the education that we provide. The Trailblazer team drilling down to make us a well on our school site. Now we need the second stage – biosand filters – to ensure clean drinking water. 80$ will buy one bio-sand water filter for the school site. This will supply up to 150 children with clean, safe drinking water for up to ten years. With a school of nearly 300 students we need two filters, and 2 generous donors to support this. Are you able to be one of them? If you’d like to become a donor your name / sponsorship logo will be placed on the filter as a thank you. It’s simple to donate either through Virgin Money Giving or through Paypal, or visit our website for more information. Helping Hands is not about giving charity. At Helping Hands our aim is to give people a 'hand up' not a 'hand out', as this can cause them to become reliant on aid. We run a school for 300 children in rural Siem Reap, teach health and hygiene and in the past have built bridges, fixed roads and provided training on agriculture and nutrition in partnership with the community.